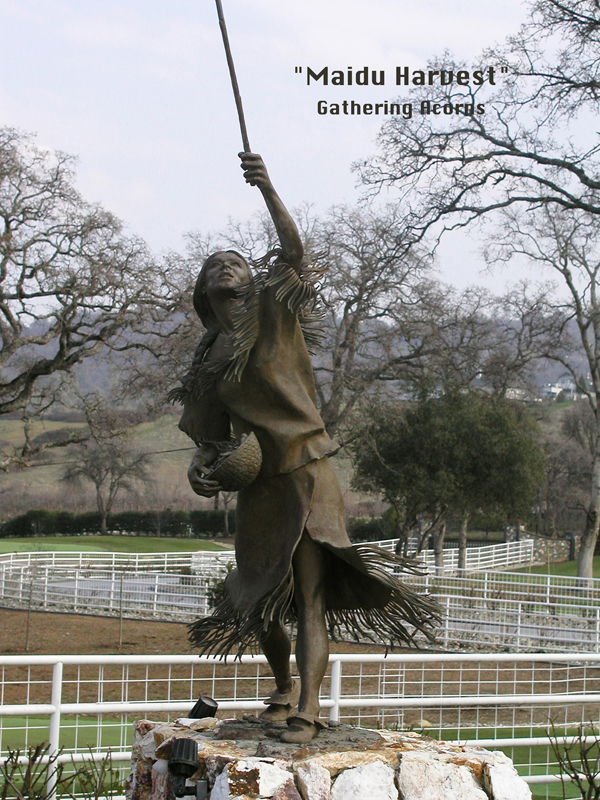 This Maidu Native American Indian maiden is gathering acorns which she stores in a hand-woven reed basket. Acorns were a main staple from the oak trees in the Northern California foothills which were crushed and soaked to remove the bitterness, then stone-ground into a meal and used in various ways for their food preparation. 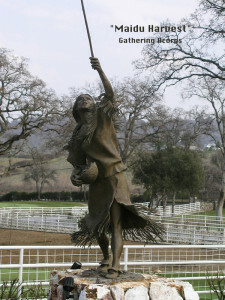 Doug studied the Maidu features and dress and used live models for authenticity.